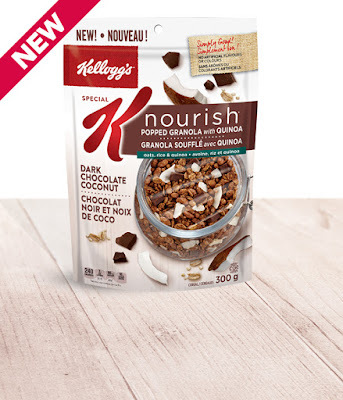 I've never been a fan of Kellogg's Special K's pretending to give a crap advertising, and so when I received an email from longtime reader Rosemary, who was unimpressed to say the least with one of their latest ads (embedded at the end of this post), I asked her if I could share her thoughts. She kindly agreed. Raw to say the least, and though I don't fully agree with every sentiment expressed herein, I'm betting they'll resonate with many. I know soooo many women (and men!) that eat these products - thinking they are a whole / healthy choice. This ad is so much ugh. Of course they had to throw in the shot of the well-endowed woman in the bra. "Casually getting dressed" ... while literally stuffing her face. Geneen Roth would not approve! Lol. The whole "I am woman hear me roar - I can do anything - I am fierce - around food / being in charge of the food / feeding the kids - this media trope is so such nonsense. I dont know any women that work / live / eat the way this ad depicts. Just perpetuating that myth -women- no, we don't deserve time carved aside to eat calmly - we are just too damn busy being everything to everyone. Just perpetuates this super mom woman role nonsense. And there Kellogg's is trying dutifully to hit all their "diversity notes" - woman motorcycle mechanic / buzzcut lgbt-ish rainbow wristband girl - / It is all so contrived. They are depicting the overworked woman - and they are the solution, when in fact, eating their crap that masquerades as "breakfast" and "food" probably actually contributes to feeling exhausted - re unstable blood sugar - carby weight gain - making one less energized to shop and prepare. It's a cycle. I know when I eat next to no processed food - my energy levels are great. After about 4 days of not eating any crap. The cereal is 10g's of sugar per 3/4 cup serving. That would maybe cover the bottom of the cereal bowl. No one eats only 3/4 cup of cereal when they pour a bowl. And the granola bars are even worse - palm oil - and many different forms of sugar. Cane in the chocolate and corn syrup. No reply necessary - yer bizzy - just wanted to pass it along.